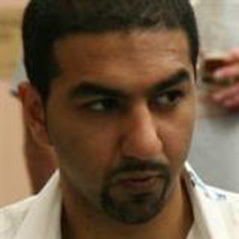 WPT champion Faraz Jaka recently appeared on CNN's Money show but not in the guise you may have expected. Usually when mainstream media outlets profile on high stakes poker players with millions of dollars in earnings they focus on lavish lifestyles set to a backdrop of Las Vegas. However, in the latest instalment of the show the producers took a different route. Picking up on Jaka's nomadic lifestyle, the video was entitled ‘He's a homeless millionaire poker player’ and outlined how the American has ‘couch surfed’ his way around the world. Although only two minutes long, the profile gives an overview of how Jaka takes in the culture of each poker destination he visits. On top of that, the man himself gave his take on money and why striving for experiences trumps striving for material possessions. In contrast to the typical portrayal of young poker players, this piece by CNN paints an entirely different picture. While some will still have their preconceptions about ‘gamblers’, pieces like this certainly help the image of the game. Indeed, with millions of viewers across the US as well as the world, Jaka's exposure on CNN will certainly help change people's perceptions in some small way.